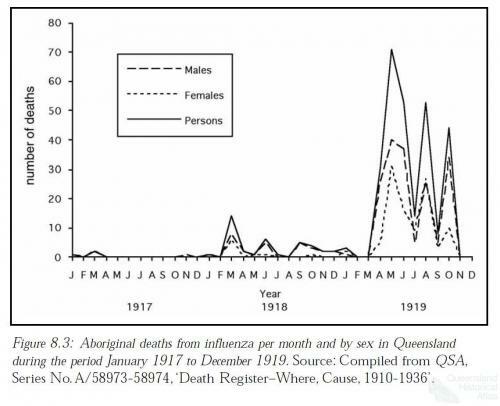 Of the estimated 12,000 deaths in Australia from the Spanish or pneumonic influenza in 1918-19, 1030 were Queenslanders, 315 of whom were known to be Aborigines, representing 30 per cent of the State death toll. In Queensland, the pandemic had arrived first at the main seaports of the middle and southern coast and had then moved inland to urban and rural regions. 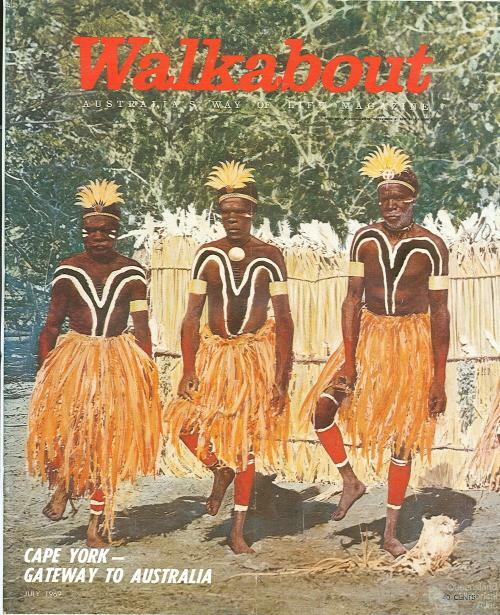 Initially, it affected white people then began affecting Aborigines, coming for them on top of an epidemic of pneumonia.